The aptly named “Nextdoor” is next door to another cheapo favorite coffee/co-work spot: Downstairs Cafe. 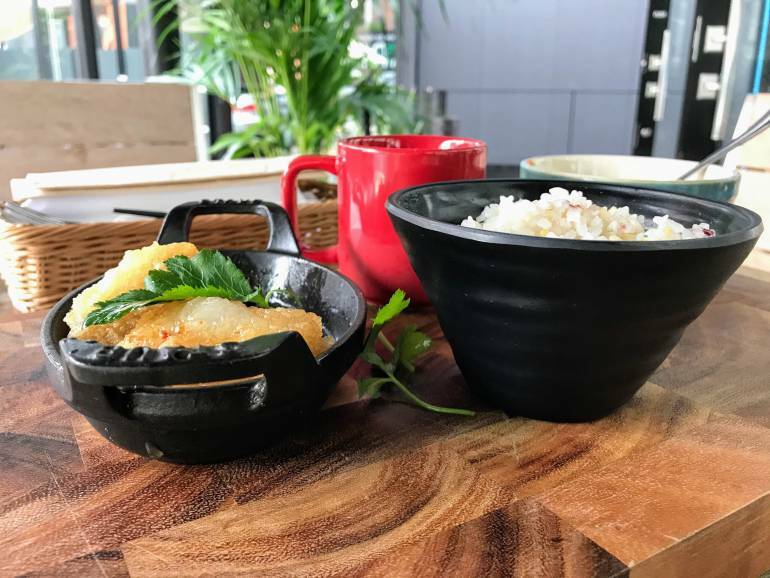 It’s a pop-up restaurant open from July 12-Sep 30, 2017. 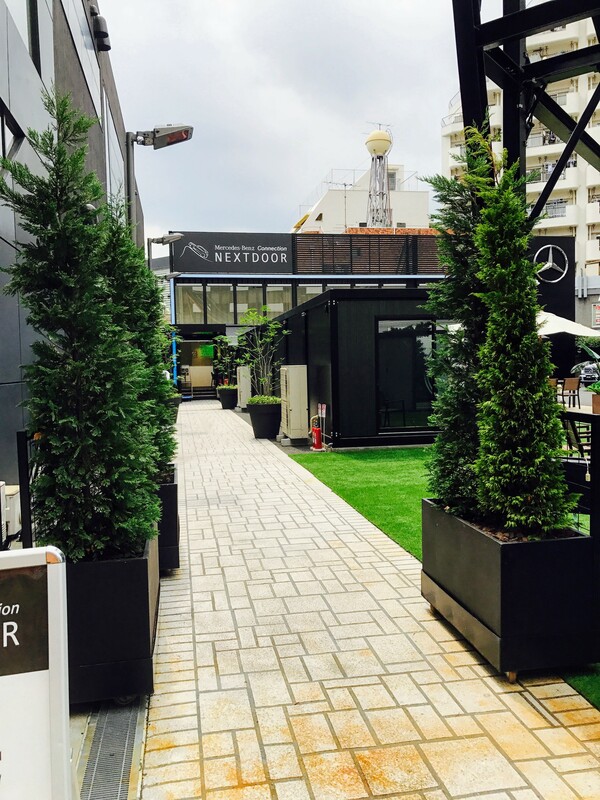 A reasonably priced healthy-eating menu, with plenty of outdoor terrace seating, makes for a nice quiet lunch spot near the hustle and bustle of Roppongi and Tokyo Midtown. Their lunch dishes are usually ¥1,000–¥1,200, with a few choices including a curry option and fish option. They also serve a “green smoothie” for 900 yen, complete with a whole piece of mustard greens as garnish (similar in appearance, but totally opposite in nature to a flake poking out of an ice cream cone). It’s also a good spot for a meeting, being a corporate vanity cafe (also part of Mercedes, like Downstairs cafe)—everything is squeaky clean and decor is fairly safe (albeit a little bland).